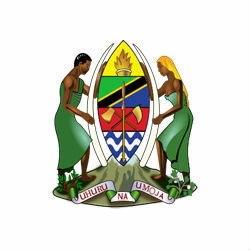 The Lake Tanganyika Zone has scheduled a second economic investment forum for October, 2013. The forum will be held in Kigoma/Ujiji urban area so that potential investors can explore opportunities which are available in the area. The first forum in Mpanda was held in November, 2012 and attracted investors from the mining, agriculture, livestock and industrial processing sectors, reported Issa Machibya, the Kigoma Regional Commissioner. In a planning meeting the Kigoma District Commissioner, Ramadhani Maneno, stated that investors need not be concerned over Kigoma’s less developed infrastructure sector because the government was at work improving airstrips and roads in the area. President Jakaya Kikwete is likely to preside over the event, and in addition to private investment centers, ambassadors, and various stakeholders, the forum will involve Tanzania Chamber of Commerce, Industry and Agriculture, Tanzania Investment Center, and the Export Processing Zone Authority.